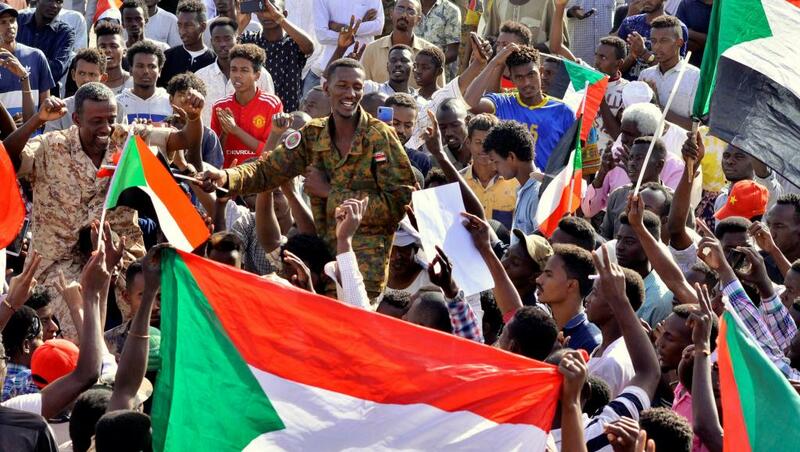 AU gives Sudan transitional military council 15 days to step down - SABC News - Breaking news, special reports, world, business, sport coverage of all South African current events. Africa's news leader. The African Union (AU) has given the transitional military council of Sudan 15 days to step down or have Sudan face sanctions from the continental body. It says the current transitional government does not respect the value of elections and democracy that the AU stands for. This is after a meeting by the AU Peace and Security Council in Addis Ababa. According to the African Union Peace and Security Council the actions transitional military council is unacceptable, unconstitutional and amounts to a coup as such the African Union wants the military council to step down within 15 days. Failure to do so it warns that, Sudan will face sanctions according to the AU constitution. This means Sudan maybe suspended from activities of the African Union for a period to be specified by the AU. Leaders of the transitional military council of Sudan are in Ethiopia. They are led by Jalall Al Din Al Tayeb, the deputy director of Sudan’s national intelligence and security service. Earlier, they met with Ethiopia’s Prime Minister Abiy Ahmed, who is also the chair of IGAD, where Sudan is a member. He expressed admiration at their effort for overseeing the transition, but urged them to have inclusive dialogue with all other stakeholders in Sudan in order to get a civilian centred solution. This entry was posted on 15 Apr 2019,08:46PM at 8:46 PM and is filed under Africa, Homepage Latest Stories Slider. You can follow any responses to this entry through the RSS 2.0 feed. Both comments and pings are currently closed.